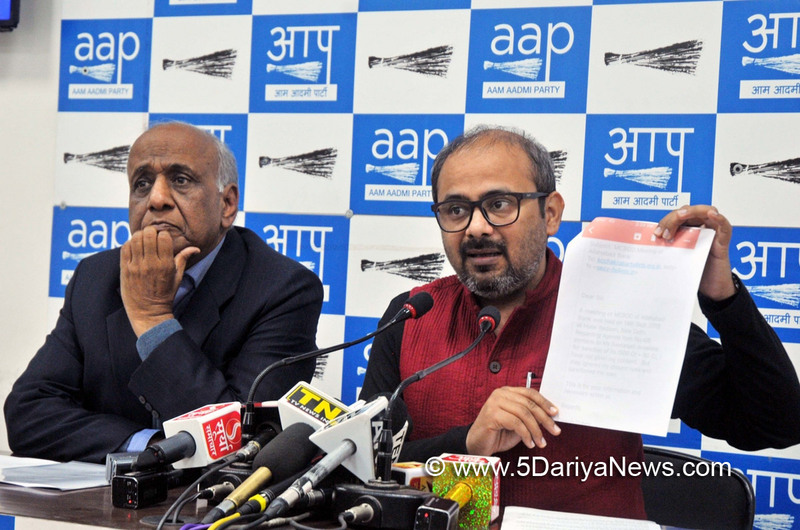 Alleging that despite Centre's knowledge, banking scam kingpin Nirav Modi was successful in fleeing the country after duping PNB of Rs 11,515 crore, the Aam Aadmi Party (AAP) on Friday said Prime Minister Narendra Modi is answerable for the fraud.Party leader Dilip Pandey told a media conference here that no action was taken against the diamond trader even though the Finance Ministry and the Prime Minister knew about Punjab National Bank (PNB)'s complaint against him with the Central Bureau of Investigation (CBI).Pandey quoted media reports suggesting that Dinesh Dubey, a former Director of Allahabad Bank, had in September 2013 written mails to the Deputy Governor of Reserve Bank of India (RBI) and the then Financial Services Secretary over unsanctioned loans being given to Mehul Choksi, uncle of Nirav Modi.But later, Dubey was pressurised to resign, he said.From the Congress era, "junior Modi (Nirav Modi)'s involvement in corruption was known", he said, referring to Prime Minister Modi as "senior Modi". "Both the Congress and the BJP are blaming each other for the scam and fooling the nation," said Pandey. "A 'Modi Desh Looto Yojna' is going in this country," he added.Noting that Nirav Modi was part of a delegation travelling with PM Modi to Davos in January this year, despite the complaint against him and a letter received by the CBI, he said the Prime Minister and the Finance Ministry were aware about the scam, yet no action was taken. "Prime Minister is the watchman of this country. He should answer the public on this. "AAP Rajya Sabha member N.D. Gupta said the bank management was also involved in the scam. "He (Nirav) ran away with the whole family in January. How?," he said.